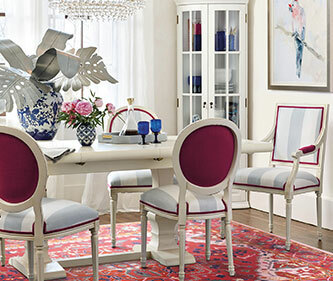 Headquartered in exciting Atlanta, Georgia, Ballard Designs is a dynamic, fast-growing marketer of globally inspired home furnishings and accessories. We are a tight-knit, entrepreneurial team of smart, dedicated professionals who are passionate about what we do. If you are energetic, success-driven, and ready to make a real impact, we need to meet you. Right now, we are looking for a Desktop Administrator to join our team. Experienced end user support technician providing direct client support in maintaining equipment and software used in the computing environment and able to resolve nearly all client problems. Performs physical on-site assistance and participates in migrations and rollouts. Partnering with the business areas, determines what hardware and software will meet the functional requirements of the client, recommends when and how to upgrade, tests and implements solutions for the end-user environment. Documents, maintains and enhances work processes and standards for the business area’s technology needs. Supports and maintains the end user environment. This may include configuring new hardware, reviewing and addressing virus alerts, installing and troubleshooting software including patches, and performing tests. Documents, maintains and enhances work processes and standards in the area, including documenting procedures for troubleshooting and incident resolution/solution. Ensures compliance with relevant policies and regulations, and escalates any concerns as appropriate. May track trending of issues and escalate, as appropriate. Responsible for information technology planning, design, implementation and support of on-site or remote special event activities on request may include supervisory responsibility for external contractors at the site. Installs, supports, and retires hardware (e.g., desktops, laptops, thin clients, monitors, mobile devices, printers). Installs and maintains related software, and wipes data prior to destruction or reissue. Plans for and performs facility moves, including coordinating appropriate resources like vendors, IT team members, facilities team members, etc. Makes judgment calls to replace or repair equipment, working with vendors on solutions, and working with other teams to implement new solutions. This includes restoration of service, providing end-user training, and any coordination of warranty repair through 3rd party vendors. Troubleshooting user problems requiring a seasoned understanding of the IT technical environment; assessing the entire environment, including issues of compatibility and inter-operability. Maintaining composure and a professional manner at all times, including in stressful situations. Probes clients effectively to determine the actual nature or underlying cause of a user problem. Works to assess the client’s comfort level with technology, and potentially manage their anxiety and stress. Has strong orientation towards client service. Operates effectively as part of a larger team and manages own work. May be accountable to resolve a task or assignment as part of a larger initiative or project, which may require directing internal resources and/or vendors. Receives limited direction, work in progress is reviewed periodically. Supports the development of appropriate work procedures or approaches to address and/or escalate problems. Exceptional customer service experience required. Ability to react to a fast-paced, ever-changing business environment. Has the expertise to independently handle nearly all routine and non-routine inquiries and problems. Understands the technology organization and how different areas work together to resolve client or operational problems. Assesses client and business requirements with consideration of the tradeoffs between business needs, technology requirements and costs. Possesses seasoned expertise in standard end user hardware and software in the IT infrastructure, and an area of specialized expertise where they can be a resource to other technical support team members. Understands the broader IT hardware and software environment, especially as it relates to the inter-relationship of end user technologies with the current and future applications and technical architectures.